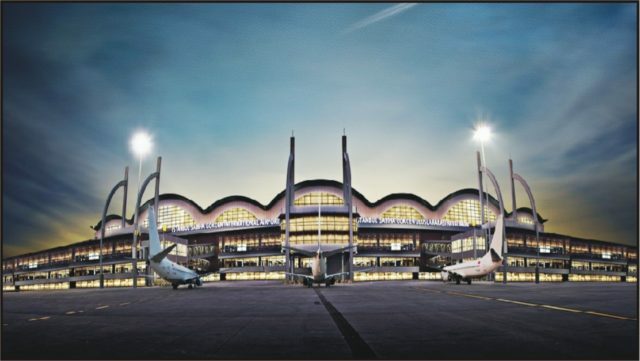 Although they are both international airports, Istanbul Ataturk Airport provides more international flights and connections. There are multiple ways to transfer from/to these airports. In this article, cheap and more expensive ways will be discussed. Istanbulkart is the pass card used in public transportation of Istanbul. You can have an extensive information about Istanbul travel card here. The travel costs calculated for public transportation methods below depends on the usage of Istanbulkart. It is around 22 kilometers (14 miles) from Istanbul Airport to city center Taksim Square (Taksim Meydani). You should expect to pay 60-65 TL. The airport shuttle Havabus TH-1 first takes the passengers of the international lines at the departure time below, and then approximately five minutes later takes the passengers of the domestic lines. Folllow the Metro sign in the airport. Take M1A (red line on the map) from Atatürk Havalimanı (Airport). Get off at Yenikapı (last stop). Transfer to M2 (green line on the map). It is around 22 kilometers (14 miles) from Taksim Square (Taksim Meydani) to Istanbul Airport. You should expect to pay 60-65 TL. Havabus in Taksim Square is across Divan Hotel and in front of Point Hotel. Click here for the map of the location of HAVABUS in Taksim Square. The Havabus TH-1 directly takes you from Taksim to Istanbul airport. Take M2 from Taksim Square to Yenikapi. Transfer to M1A from Yenikapi. The last stop of M1A is Istanbul Ataturk Airport. It is around 40-45 km (25-28 miles) from Taksim to Sabiha Gokcen Airport. You should expect to pay 105-117 TL. There is a direct airport shuttle from Taksim to Sabiha Gokcen Airport. You can take Havabus SG-2 from here. It is around 60 km (37 miles) from Istanbul Airport to Sabiha Gokcen Airport. You should expect to pay 155-160 TL. There is no direct shuttle from Istanbul Airport to Sabiha Gokcen Airport. So, first take Havabus TH-1 airport shuttle from Istanbul Airport to Taksim (You should see the shuttle right across the airport exit). After arriving at Taksim, take Havabus SG-2 airport shuttle from Taksim to Sabiha Gokcen Airport. Follow the Metro sign in the airport. Take M1A (red line on the map) from Atatürk Havalimanı (Airport). Transfer to tramway (T1) (dark blue line on the map). Take the ferry from Eminönü to Kadıköy. For both of the alternatives, the departure Point in Kadıköy is Kadıköy Rıhtım İETT Bus Stops. 1. Take E-10 or E-11 from Kadıköy. The last stop of those bus routes is Sabiha Gökçen Airport. E-11 is faster since it covers less stops. E-11 takes approximately an hour and E-10 takes approximately an hour and a half. 2. Take Havabus SG-1 airport shuttle. For further details about Havabus SG-1 click here. It is around 20 km (12 miles) from Istanbul Airport to Sultanahmet (Blue Mosque). You should expect to pay 55-60 TL. Transfer to tramway/tram (T1) (dark blue line on the map). Get off at Sultanahmet (Blue Mosque) stop. It is around 36-46 km (22-29 miles) from Istanbul Airport to Kadikoy. You should expect to pay 95-120 TL. There is no direct shuttle from Istanbul Airport to Kadikoy. So, first take Havabus YH-1 airport shuttle from Istanbul Airport to Yenikapi (You should see the shuttle right across the airport exit). Before coming to Yenikapi, get off at Bakirkoy IDO. Take ferry from Bakirkoy IDO to Kadikoy. Bakirköy-Kadıköy ferries work between 07:50-20-50 and takes 30 minutes. Follow the Metro sign at the airport. Take M1A (red line on the map) from Atatürk Havalimanı (Airport). It is around 39 km (24 miles) from Sabiha Gokcen Airport to Kadikoy. You should expect to pay approximately 105 TL. You will see Havabus SG-1 buses right across the airport exit. The last stop of the shuttle is Kadikoy. It takes approximately one hour. Take E-10 or E-11 from the Sabiha Gokcen stop which is across the airport exit. The last stop of those bus routes is Kadıköy. E-11 is faster since it covers less stops. E-11 takes approximately an hour and E-10 takes approximately an hour and a half. It is around 45-50 km (28-31 miles) Sabiha Gokcen Airport to Taksim. You should expect to pay 117-130 TL. Take E-10 or E-11 from the Sabiha Gokcen stop which is right across the airport exit. The last stop of those bus routes is Kadıköy. E-11 is faster since it covers less stops. E-10 takes approximately an hour and a half, and E-11 takes approximately an hour. Take the ferry from Kadıköy to Karaköy. You can check here to check the route to Karakoy ferry. In Karakoy, transfer to F2 (funicular line) heading Beyoğlu. In Beyoğlu transfer to T2 (tram line) heading Taksim. It is around 60-70 km (37-43 miles) from Sabiha Gokcen Airport to Istanbul Airport. You should expect to pay 155-180 TL. There is no direct shuttle from Sabiha Gokcen Airport to Istanbul Airport. So, first take Havabus SG-2 airport shuttle from Sabiha Gokcen Airport to Taksim (You should see the shuttle right across the airport exit). After arriving at Taksim, take Havabus TH-1 airport shuttle from Taksim to Istanbul Airport. Right across the airport exit, take E-10 or E-11 from the Sabiha Gokcen stop. The last stop of those bus routes is Kadıköy. E-11 is faster since it covers less stops. E-11 takes approximately an hour and E-10 takes approximately an hour and a half. Then take the ferry from Kadikoy to Eminonu. You can check here the route to Eminonu ferry. In Eminonu, transfer to T1 (tram line). Take T1 from Eminonu to Zeytinburnu. Get off in Zeytinburnu and transfer to M1A metro line to Istanbul Ataturk Airport. Get off at last stop (Ataturk Airport). It is around 35-40 km (22-25 miles) from Kadikoy to Istanbul Airport. You should expect to pay 92-104 TL. There is no direct airport shuttle from Kadikoy to Istanbul Airport. Take the ferry from Kadikoy to Eminonu. Here is where Eminonu ferry takes off. In Eminonu, transfer to T1 (tram line). Take T1 from Eminonu to Zeytinburnu. Get off in Zeytinburnu and transfer to M1A metro line to Istanbul Ataturk Airport. Get off at last stop (Ataturk Airport). It is around 35-40 km (22-25 miles) from Kadikoy to Sabiha Gokcen Airport. You should expect to pay 92-104 TL. There is a direct airport shuttle from Kadikoy to Sabiha Gokcen Airport. Take Havabus SG-1 airport shuttle from here. It takes approximately 60 minutes from Kadikoy to Sabiha Gokcen Airport. Take E-10 or E-11 from Kadıköy. These buses also take off from where Havabus SG-1 takes off. The last stop of those buses is Sabiha Gökçen Airport. E-11 is faster since it covers less stops. E-10 takes approximately an hour and a half and E-11 takes approximately 60 minutes. Disclaimer: The ticket prices and taxi fares might be different than the actual prices/fares, and the routes might not be available. As a last note, please feel free to ask any questions related to transfers from Istanbul airports to various city centers in the comments section below. Hi. I am travelling to Turkey with my husband and two kids (aged 8 and 6) in September. We arrive at Ataturk and need to get to Kadikoy. Would you advise I take a taxi or is taking the bus not an issue as a travelling family? If it is, would I be able to catch a taxi at the airport on the day or can I pre-book them? I will be transferring from Attaturk International to Sultanahmet by metro and tram. I have been told to exit metro at Zeytinburnu and transfer there to the tram. Your article says transfer at Aksaray. I’m confused. Please help.